This tense and bleak British drama realistically depicts the raging anger, hatred and violence many British men – for whatever reason – have buried in their souls. This brutality is often released with the abuse of alcohol. But for some, a seemingly innocuous trigger is enough. 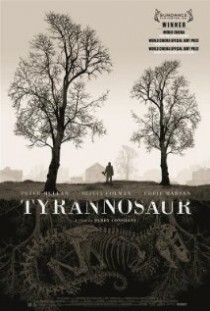 Paddy Considine’s Tyrannosaur follows working class retiree, Joseph, as he struggles to keep a lid on his continuously boiling rage. A difficult yet important subject superbly realized on film. Considine’s direction is complemented by magnificent performances from Peter Mullan, Olivia Colman and Eddie Marsan.